Season’s Greetings from Side by Side Farm! Even though it’s the middle of winter, there’s lots of excitement and hustle and bustle here at the farm. First, we’re happy to announce that signup for our 2013 Community Supported Agriculture (CSA) program is NOW OPEN! 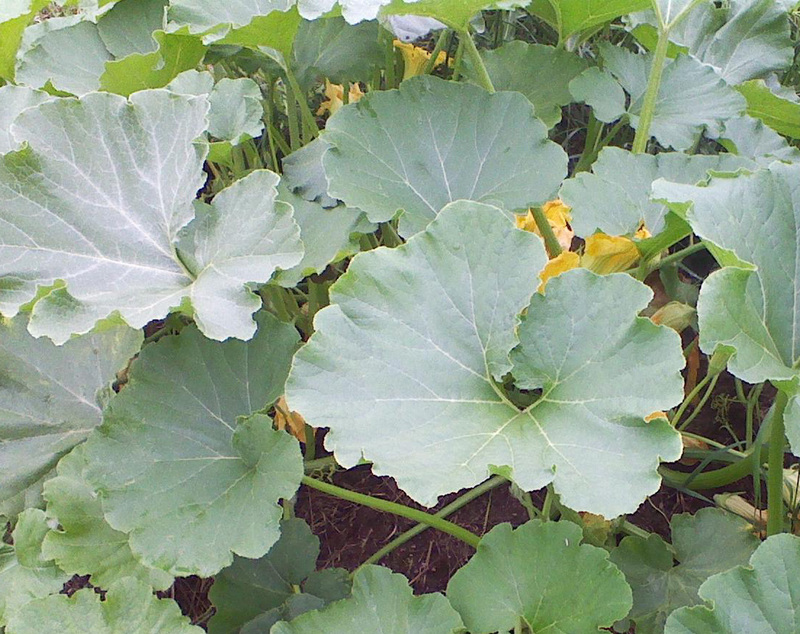 To read more about our CSA, please visit our website by clicking HERE. We’ve set up an easy and secure online CSA signup, which you can go to directly by clicking HERE. In other big news, we have a new Farm Manager, Sarah Sohn. Sarah will be posting soon with more info about her farming background and dreams for the future of Side by Side Farm. 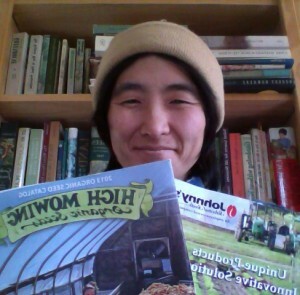 Here she is, showing off this season’s latest seed catalogs. Our beloved Farmer Devin will still be here until the end of the year, before moving on to managing another farm (happily not too far away, near Philadelphia). Devin has been working closely with Sarah for the last few months, so the transition will be pretty seamless. 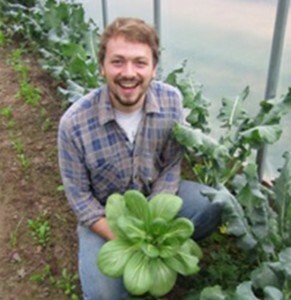 If you want to send Devin your well-wishes, please email him at: devin@sidebysidefarm.com. Phew, that’s a lot of farm news for the off-season! As always, if you have any questions or feedback, please email us at: csa@sidebysidefarm.com.